On Thursday, 21st of March, 2019, the prosecution closed its case, filed before the Code of Conduct Tribunal (CCT), against suspended Chief Justice of Nigeria (CJN), Justice Walter Onnoghen. For one thing, the case presented by the prosecution, based on newspaper reports, was very disappointing. Apart from the fact that the charge itself amplified the dissonance in the polity, there was clear abuse of executive powers in the suspension of Onnoghen. It is not out of place to have expected an overwhelming amount of evidence presented against the suspended Supreme Court justice. However, the opposite was the case. The prosecution reportedly called three witnesses – two officers from the Code of Conduct Bureau (CCB) and a banker, who gave evidence on Onnoghen's bank accounts. To the surprise of many, the account balances were substantially different from the figures the prosecution had bandied in the media. This is the most recent in a number of charges that have portrayed the CCT more as a tool for settling political scores than one for fighting corruption and ensuring accountability by public officers. Some of the individuals who have been prosecuted by the CCT for apparent politically-motivated reasons include former Minister of Niger Delta Affairs, Godsday Orubebe; Senate President, Bukola Saraki; and now Justice Onnoghen. Instead of using the CCT as yet another partisan tool against perceived political opponents, we should be reforming it for greater efficiency. The idea of a code of conduct for public servants was conceived in 1976. Credited to Ben Nwabueze, a distinguished Professor of law, who was a member of the constitutional drafting committee set up by the then-Federal Military Government, the code was incorporated in the 1979 Constitution and has been part of our Constitutions ever since. The CCB and CCT are both creations of the 1999 Constitution and the Code of Conduct Bureau and Tribunal Act. The CCB is one of the Federal Executive Bodies created under Section 153 of the Constitution. Its objective, as provided under its enabling Act, is to establish and maintain a high standard of morality in the conduct of government's business and to ensure that the actions and behaviour of public officers conform to the highest standards of public morality and accountability. The agency is empowered to receive declarations of assets by public officers and retain custody of the declarations. When it receives a complaint about non-compliance with the Code of Conduct or a breach of the code by any public officer, the CCB might consider referring such a complaint to the CCT. In addition to observing the rules entrenched in the code – such as those pertaining to conflict of interest; prohibition on the maintenance and operation of bank accounts outside the country; the restriction on loans, gifts or benefits; and bribery – public officers are also mandated to submit to the CCB a written declaration of all their properties, assets and liabilities and those of their unmarried children under the age of twenty-one. The declaration must be done immediately after taking office and at the end of every four years or at the end of a term of office, as the case may be. For non-elective serving officers, this must be done within thirty days upon receipt of the asset declaration form from CCB or as may be specified by the agency. The reason for this declaration is for easy identification of corrupt public officers as well as the assets acquired through corrupt means. The Constitution provides that any property or assets acquired by a public officer after the official declaration, which appears to be outside his or her earnings or income and is not in line with the code, would be deemed to have been acquired in breach of the code unless the contrary is proved. The declaration of assets form, therefore, makes it easier to track the fruits of corrupt acts. The CCT is the tribunal where public officers found to have contravened any of the provisions of the Code of Conduct are tried. The punishments that can be meted out by the tribunal include vacation of office or seat in any legislative house; disqualification from membership of a legislative house; debarment from holding any public office for a period not exceeding two years; and seizure and forfeiture to the State property acquired from corrupt means. Where an act of corruption also constitutes a criminal offence, criminal sanctions, as provided under the law, may be imposed. On the status of the tribunal and the nature of the proceedings before it, vis-à-vis regular courts, the appellate courts have rejected the proposition that the tribunal is merely an administrative agency for public officers. While determining the validity of a charge brought before the CCT against the then-Vice President, Atiku Abubakar, in 2007, the Court of Appeal described the CCT as a court vested with specific duties by the Constitution with its trial procedures akin to criminal trials. In 2016, the Supreme Court – while determining the appeal of Senator Bukola Saraki, on the validity of the charge against him at the CCT – stated that the CCT is empowered to administer both administrative and criminal sanctions. Justice Onnoghen, who delivered the lead judgment in Saraki's appeal, described the CCT as a tribunal with quasi-criminal jurisdiction. 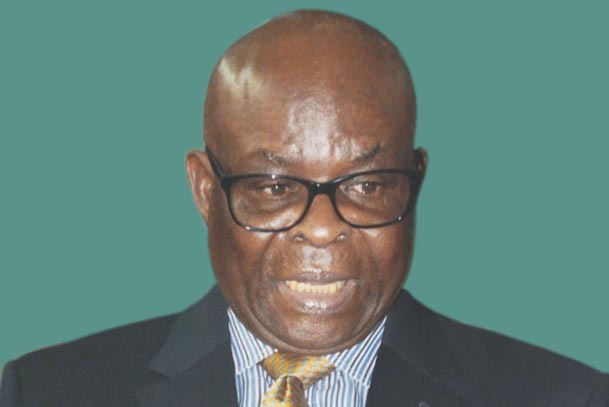 Distinguishing the CCT from other Courts created under Section 6 of the Constitution, Onnoghen stated: “I should not be understood as saying that the Code of Conduct Tribunal is a court of superior record or jurisdiction with relevant inherent powers and sanctions but that as a quasi-criminal Tribunal/Court, it has the necessary powers to put into effect its mandate of ensuring accountability, probity, transparency, etc of public officers in public office.” It was on this basis that the tribunal's power to order arrest of defendants before it was upheld. If the provisions of the Code of Conduct were strictly adhered to and enforced, they would go a long way to check corruption. In the case of assets declaration, there would be a comparison of the assets of public officers between the period of their assumption and departure from public service. The burden would be on the officials themselves to explain cases where the values of newly-acquired assets would appear to be beyond the legitimate earnings of the officials. How can we make both the CCT and CCB more effective and efficient in carrying out the mandate of reducing graft and enhancing integrity in public office? The first thing to do would be to make the two agencies completely independent. For valid reasons, the CCT is facing similar allegations of witch-hunt often made against the Economic and Financial Crimes Commission (EFFC). Though investigations are to be carried out by the CCB, curiously, the Code of Conduct Bureau and Tribunal Act provides that cases prosecuted at the CCT must be instituted by the AGF or any officer in the Ministry of Justice, as may be authorized by the AGF. This has invariably led to situations where charges are filed by the AGF's office (possibly from pressure from the Presidency) before the CCB has completed its investigations (as admitted by officers of the CCB in Justice Onnoghen's case). Furthermore, the powers given to the AGF include the power, under Section 174 of the Constitution, to discontinue proceedings without any explanations. This power has been applied to cases before the CCT in the past. The CCB should be reformed and empowered by law to independently investigate and prosecute offences/breaches of the Code of Conduct, without recourse to the AGF. An element in the assets declaration process, which has contributed to its ineffectiveness, is the lack of proper examination or verification of the assets listed in the declaration forms. It would be impossible to tackle corruption if the assets declaration forms of public officers are not verified. The verification process would require substantial reform, including the use of ICT solutions for the CCB to adequately carry out this task. Furthermore, the forms should be made more accessible to members of the public. It has become more of a moral act for the President and Vice-President to publicly declare their assets. Every Nigerian citizen should have a right to access the declaration forms of public officers, especially the elected ones. The CCB using the provisions of the Constitution which empowers it to make copies of the asset declaration forms “available for inspection by any citizen of Nigeria on such terms and conditions as the National Assembly may prescribe” had denied access to the said forms on application on the grounds that the National Assembly has not prescribed any term or condition. With the enactment of the Freedom of Information Act, one would expect that applications for access to assets declaration forms of elected officials would be granted by the CCB. However, such requests by civil organizations and individuals are often refused by the agency. The CCB and CCT should not be subjected to the same malaise and challenges that have made successful prosecution of public officers in the regular courts a herculean task. The independence and reform of these agencies are key to ensuring they fulfil their statutory mandates. Indeed, probity among public officers in Nigeria will help to achieve far-reaching implementation of government policies and the delivery of public goods.